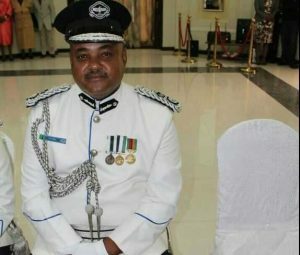 By a letter dated 30thJanuary 2018, President Lungu dismissed the Commissioner of Police for North Western Province Mr. Auxensio Daka, purporting to be acting under Article 92(2)(e) of the Constitution as read with section 26 of the Interpretation and General Provisions Act, Chapter 2 of the Laws of Zambia. A close scrutiny of those provisions demonstrates that the President has no power to terminate the employment of a police officer. Article 92(2) of the constitution states: *“Without limiting the other provisions of this Constitution, the President shall—(e) appoint persons as are required by this Constitution or any other law to be appointed by the President.”* The provision makes it clear that the President can only appoint persons where this Constitution or any other law allows him to do so. Where the law vests that power in another person or entity, the President has no power to override such laws. Section 26 of the Interpretation and General Provisions Act simply states that *“Where by any written law a power to make any appointment is conferred, the authority having power to make the appointment shall also have power (subject to any limitations or qualifications which affect the power of appointment) to remove, suspend, reappoint or reinstate any person appointed in the exercise of the power.”* The President can only have power to remove a person where he has power to appoint. But the president does not have power to appoint police officers. That power is vested in the Zambia Police Service Commission. The Zambia Police Service Commission is established under Article 226(1) of the Constitution. Article 226(2) then states that *“The office of the Inspector-General of Police, the Deputy Inspector-General of Police, police officers, the members of staff of the Zambia Police Service Commission and other public officers as prescribed, are offices in the Zambia Police Service.”* Article 226(3)((b) gives the Zambia Police Service Commission the power to “appoint, confirm, promote and hear appeals from officers of the Zambia Police Service.” The Constitution clearly contemplates no role for the President in the appointment and removal of police officers. Article 270 of the Constitution states that *“In this Constitution, unless a contrary intention is expressed, power to appoint a person to hold or act in an office includes the power to confirm appointments, to exercise disciplinary control over the person holding or acting in the office and to remove that person from office.”* The power to remove an officer, therefore, lies with the person or entity that has been given the power to appoint and in this case, pursuant to Article 226(3)(b) of the constitution, the power to appoint police officers has been given to the Zambia Police Service Commission. From the foregoing it is clear that the dismissal of Mr. Daka has no merit in law and is clearly unconstitutional. Mr. Daka is being persecuted and victimized for performing his duties professionally as a senior police officer. We would like to remind Lungu that this violation of the Constitution is adding to the list of many other impeachable offences he has committed.